SALT LAKE CITY June 20, 2016 – Utah residents who purchased electronic books (E-books) should begin receiving account credits or checks on Tuesday, June 21 as a result of the successful prosecution of a price-fixing case against Apple, Inc. Apple paid $400 million in nationwide consumer compensation after the United States Supreme Court denied Apple’s request to review the decision of a lower court finding Apple had violated the antitrust laws. A group of 33 states, including Utah, investigated and sued Apple for its participation in the conspiracy to artificially inflate E-book prices. In June 2013, the states, along with the United States Department of Justice, tried the case against Apple. In July 2013, the United States District Court for the Southern District of New York ruled that Apple conspired with five major U.S. Publishers – Penguin Group (USA), Inc. (now Penguin Random House); Holtzbrinck Publishers LLC d/b/a Macmillan; Hachette Book Group Inc.; HarperCollins Publishers LLC; and Simon & Schuster Inc. – to raise the retail prices of E-books. In June 2015, the U.S. Court of Appeals for the Second Circuit affirmed that ruling. And in March 2016, the U.S. Supreme Court denied Apple’s request to review the Second Circuit’s decision. Under a contingent settlement agreement between the states and Apple, the Supreme Court’s decision triggered Apple’s obligation to pay the maximum consumer compensation amount of $400 million. All five of the conspiring publishers settled prior to trial, paying a total of approximately $166 million in nationwide consumer compensation. Most of that money was distributed to consumers in March 2014. The distribution that will begin June 21 consists of the $400 million Apple payment and additional funds remaining from the publisher settlements. The $566 million total nationwide compensation to consumers is more than twice the estimated amount of actual damages. 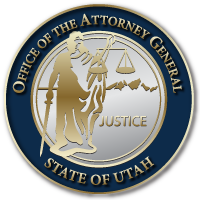 Utah consumers account for approximately .93% percent of E-book purchases, and thus are expected to receive approximately $ $3,915,300 from this distribution, in addition to amounts already paid to Utahns. The amounts received by E-book purchasers will be based on the number of E-books purchased between April 1, 2010 and May 21, 2012. For each E-book that was a New York Times bestseller, consumers will receive $6.93. For all other E-books, the payment will be $1.57. Distribution of the consumer payments should begin on June 21. Customers who purchased E-books through Sony or Google will receive checks in the mail. Customers who purchased E-books through Amazon, Apple, Barnes & Noble, or Kobo will automatically receive credits in their accounts (unless they previously requested to receive checks). Customers receiving account credits should expect to receive an email between June 21 and June 24, indicating that the credits are available in their accounts. Credits can be used to purchase anything sold by these retailers, not only E-books. This entry was posted in Archived Posts, Recent Posts and tagged Apple, e-book on June 27, 2018 .